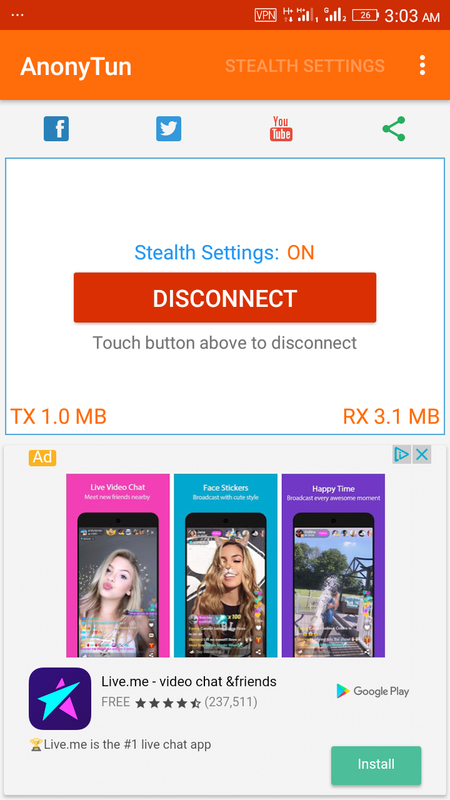 AnonyTun VPN V2.1 is an anonymous vpn packed with some free unlimited servers to keep your online activities private and encrypted unlike the tweakware; and this makes it more stable than others VPN apps and it's much pretty good for all Latest Cheat because It's not like Tweakware VPN that often disconnect within every 15 minutes of used and to get tweakware full protection you must buy a premium account and that's why I used the word “unlike”. 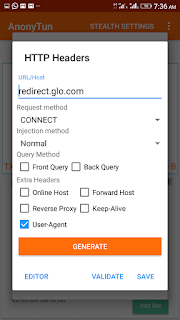 If you could recall back the "Glo 0.00kb cheat" that was blocked just of recent and many people were wondering what could be the cause of the sudden blockage but today I'm happy to bring it to your notice that with the help of This new VPN application "Latest AnonyTun VPN"; the Glo and etisalat 0.00kb free browsing cheat is back with its fullest speed and stable connection. √ Stand alone VPN configurations menu. See the image for full details. From the screenshot above you can that the compression was disabled as a default settings. 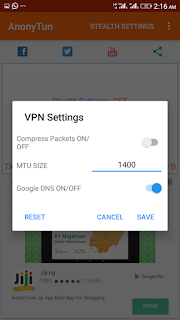 You can also set the MTU size from 65 to 1500; adjusting this may affect your connection either making it faster or slower. Download AnonyTun VPN V2.1 On Google Playstore. 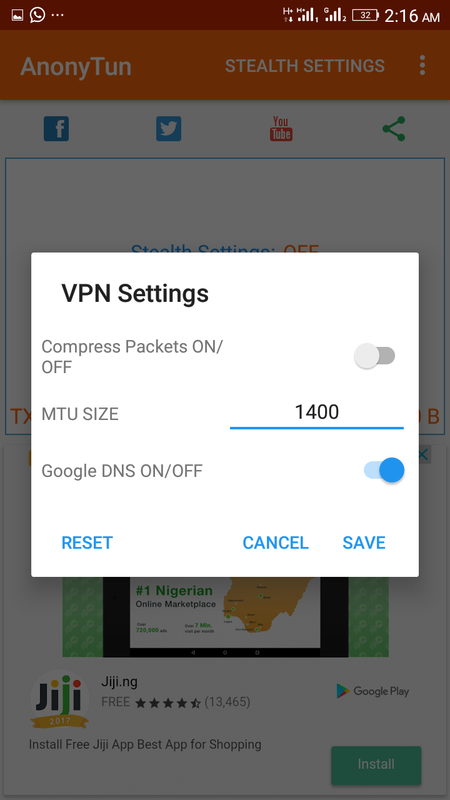 First tab on Vpn settings from the drop down menu. You can increase the size of MTU 1400 to 1500 which is the maximum then save your settings. 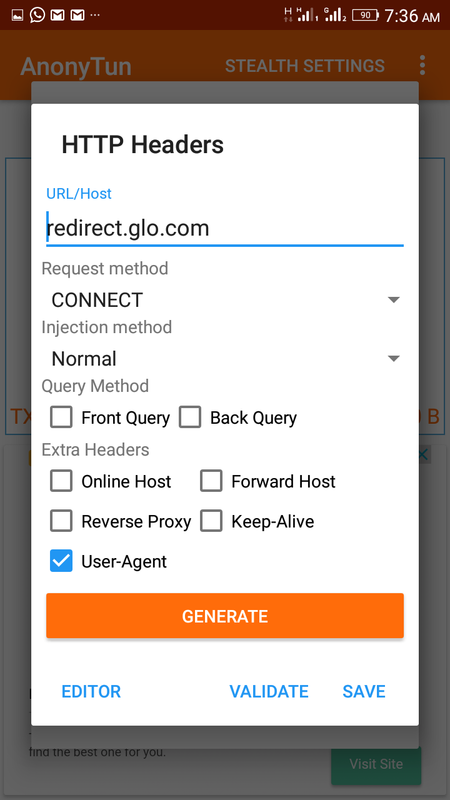 To make this works and powered all your apps; you need to have a good and strong network coverage, 3G or 4G coverage is recommended. 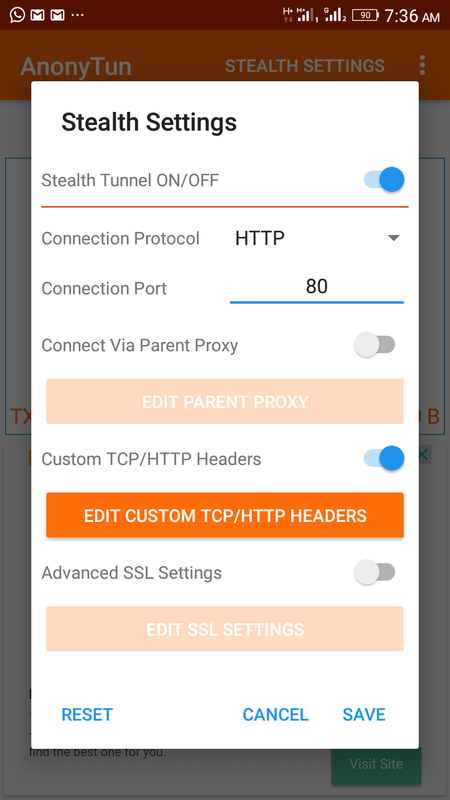 Now Lunch the app and tab on the "STEALTH SETTINGS" menu and turn the stealth tunnel option >> tab TCP and change it to HTTP connection protocol >> change the connection port from 8080 to 80 and finally tab on TCP/HTTP and enable it. 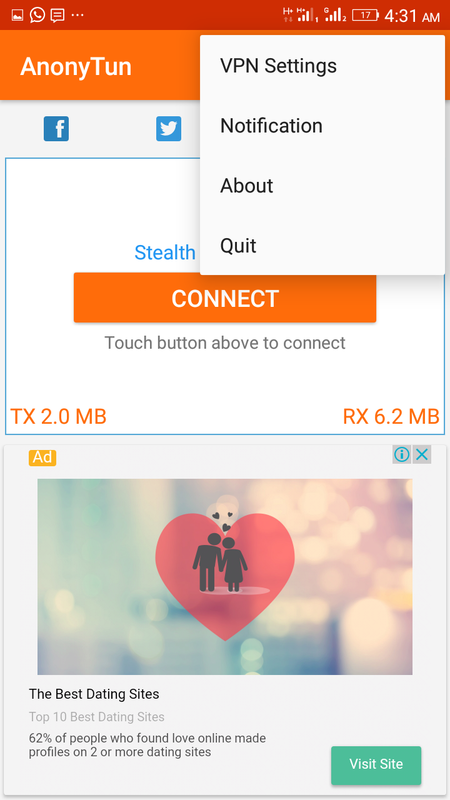 Just set it as seen in the above screenshot and leave other boxes untick then tab on "GENERATE" button to finally save your settings and click on connect wait a while for AnonyTun vpn to establish it's connection. Keep enjoying this offer while it stays!